Our world is facing a shortage of food, water and energy. Day in and day out we are in search of non-renewables which can cater to the huge global population needs. We need to run our business as well as meet the increasing demand. But that again leaves us with the odd question, if we are in the process of doing business as usual and wait till the world resources comes to an end? The time has come when we need to roughly estimate as to how much time we have till we end up using these non-renewables. Environmental stress creates ecological deficits and leads the world towards finding alternatives and it becomes clear that these also generates fiscal deficits. Agriculture, Water, Energy, Food are the key to GDP of a country and less rainfall means loss in all these sectors. Hence Ecological and Economic deficits are shaping our present as well as our future. The threat to our future generations are not war, but shortage of water, food and energy. Global warming has led to many new facts and let’s analyse these with a few examples. During the summer of 2010, record high temperatures hit many parts of Moscow and it is the same with increasing temperature in many countries including United Kingdom. As per meteorological office in the United Kingdom, June, 2018 was a warm and dry month for most and for some it was record-breaking, with many seeing their warmest and driest June on record. Throughout June high pressure dominated the UK weather, bringing more than our normal share of fine sunny days with high temperatures and very little rainfall. Provisional statistics show it is one of UK’s top five warmest Junes (in records dating back to 1910) for both maximum daytime and mean (24-hour average) temperatures. When looking at the mean temperatures it has been the warmest June on record for Northern Ireland and Wales and 4th warmest for Scotland and England. In many countries there is a concept of carbon tax which is a fee imposed on burning of carbon-based fuels (coal, oil, gas). More to the point, a carbon tax is the core policy for reducing and eventually eliminating the use of fossil fuels whose combustion is destabilizing and destroying our climate. However, it is not the only way to reduce global warming and other related environmental disturbances. There are other ways also to reduce carbon foot print at the personal level by planting small plants in your surroundings, switching off to less electricity and using solar powered lamps for lighting at night, keeping some organic plantation for foods, taking more public transport instead of one’s own vehicles etc. This and many more can be done at the personal level but what about those initiatives which can be done in an Industrial level? Personally, I feel that Industries need to first switch on to solar power for inner lighting. If we can somehow, reduce the intake of electricity in our life by use of solar and wind energy, then one can do wonders. If we can just start with this one system of consumption of electric energy through this method, we can set examples. Electricity and fresh water are the areas, Industries may focus, in order to reduce environmental stress. Global electricity demand witnessed a 3.1 per cent jump in 2017 with major contribution coming from China and India. The two nations together accounted for 70 per cent of the rise as per a report from International Energy Agency. As per Energy World, with a third of the world’s population currently residing in India and China, the two countries accounted for a total of 540 Terra Watt Hour (TWh) of electricity demand growth in 2017, out of the global increase of 780 TWh. This global rise in electricity was significantly higher than the overall increase in the energy demand. However, the disturbing part is that there is not much decline of investment in the non-renewables and hence expansion of electricity through renewables to meet our increasing energy demand is not coming up. As per the World Energy Investment 2018 report, it is stated that for the third consecutive year, global energy investment declined, to USD 1.8 trillion (United States dollars) in 2017 – a fall of 2 % in real terms. The good news is that clean energy supply investment has grown fastest in the power sector. The share of clean power sources (renewables and nuclear) in generation investment was over 70% in 2017, up from less than 50% a decade ago, though this stems partly from lower coal-fired power investment. As more and more industries join hands for greater spending on electricity networks and battery storage, it is also contributing to increase interest and investment in the Solar and wind Energies. Investments in these sectors need to rise for green electric to meet the increasing demand. 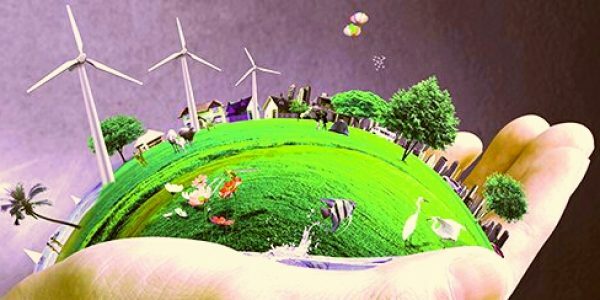 Working hand in hand with ecology and environment is one of the great way to a clean and green world as well as meet the higher energy demand caused by increasing human population. If only we have more forests, fresh streams, great crops and green electricity, the future centuries will be far better to live.